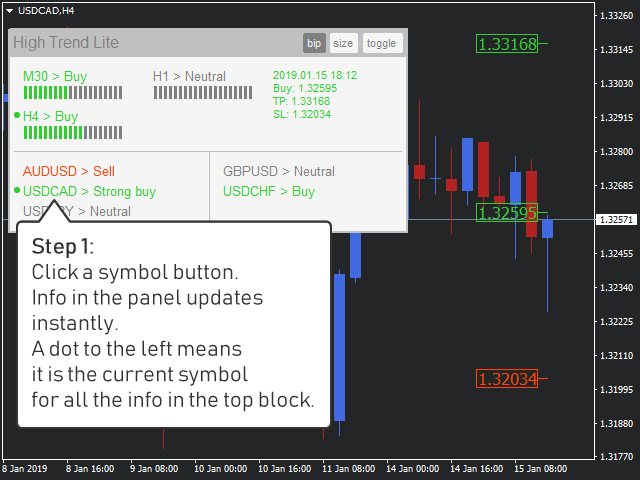 The indicator High Trend Lite monitors 5 symbols in up to 3 timeframes simultaneously and calculates the strength of their signals. The indicator notifies you when a signal is the same in different timeframes. The indicator can do this from just one chart. 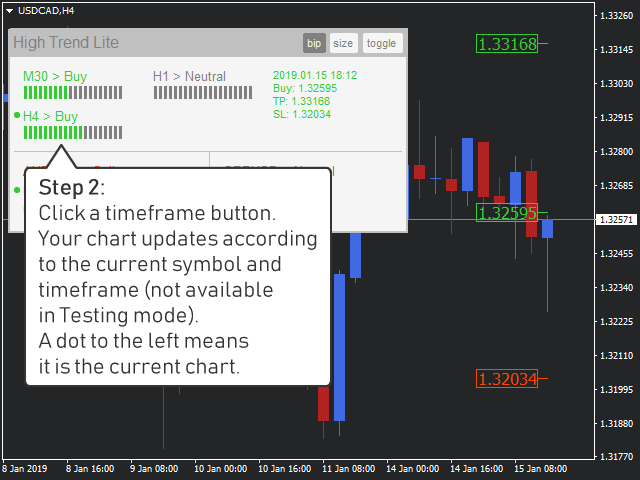 Therefore, High Trend Lite is a multicurrency and multitimeframe indicator. With the High Trend Pro, available at this link, you will have an unlimited number of symbols, 4 timeframes, a colourful chart of the primary MACD indicator, several color schemes, and stop levels for each symbol. You can also move High Trend Pro inside the chart and get notified about strong signals on your email or your smart-phone via push-notifications. High Trend Lite uses emproved versions of popular and highly demanded indicators for calculating its signals. High Trend Lite calculates the signal strength for the 5 symbols simultaneously. 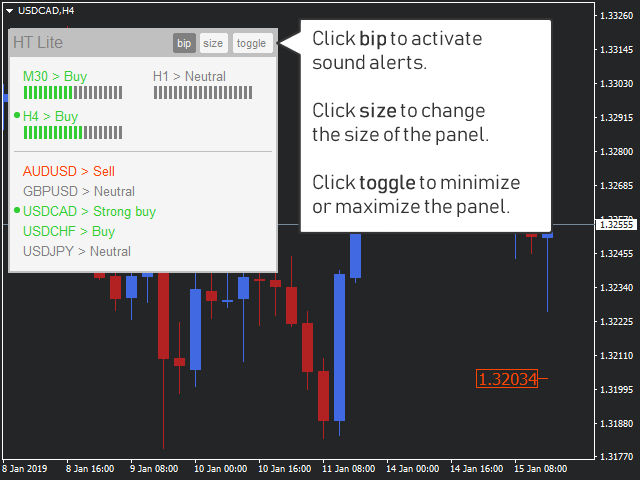 Click the symbol button in the indicator interface to quickly access its signal strength in all selected timeframes (up to 4 timeframes). It is recommended to open a trade when a signal has been confirmed by at least 2 timeframes. The indicator then notifies that it has found a Strong buy or a Strong sell. Other signals pulled by the indicator are: Buy, Sell, Neutral or Loading. These signals may change quickly, especially in the lower timeframes. That is why a strong signal is the one confirmed by at least 2 timeframes. The indicator can notify about a strong signal with a sound bip. 1. I added the support of different fonts. It should be now ok for a Mac computer. 1.1 I fixed removal of old graph objects.